Sometimes, in order to get a job done properly, you might find yourself in a tight, uncomfortable, or hazardous space – what’s better known as a “confined space”. 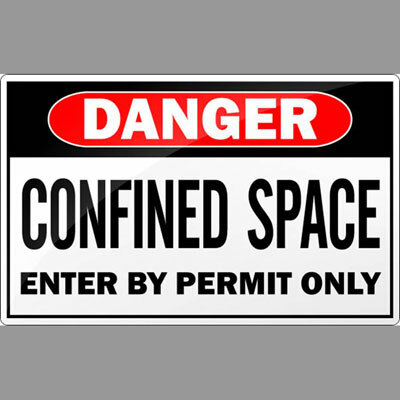 A confined space, despite its name, is not necessarily a cramped one, but it can be more dangerous than a regular workspace. 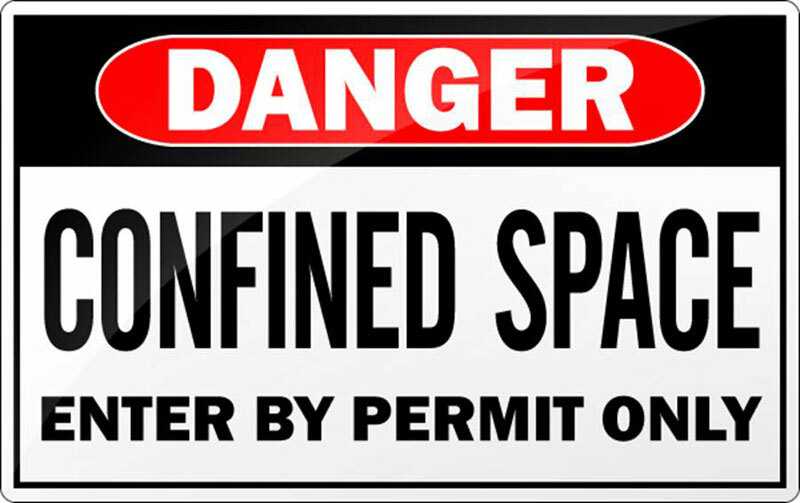 In any case, a confined space is not meant to occupy anyone for a long period of time. Snelson Companies, Inc. and its sister companies at PLH Group encounter many of these types of confined spaces, and must address the individual safety aspects of each. All of these spaces pose certain risks and can be difficult to evacuate in the case of an emergency, which is why conditions need to be constantly monitored, as they can change at any moment. But make no mistake, there is definitely a smaller margin for error in these spaces! Take for instance a trench, which may not seem like much of a danger, but any time you descend below the earth’s grade, it poses a risk for the earth to cave in, trapping or asphyxiating someone. That’s why it’s important to build “trench boxes” to protect workers, to make sure dirt walls don’t collapse. Also, when going underground, such as into a manhole, you may not know what dangers are lying in wait. To top it off, there’s only one way out – the same way you came in. Think Indiana Jones belaying into the “Well of Souls” which happened to have 7,000 snakes slithering around on the ground. The atmosphere may contain poor or toxic air that could make the worker ill or even cause the worker to lose consciousness. Air quality should be continuously monitored. Exposure to toxic chemicals could result in burns, poisoning, or asphyxiation. If liquids, gases or combustible dusts are accidentally ignited, this can lead to a fire or an explosion. A barrier failure or supply line may accidentally release it contents resulting in a flood. A high noise level can cause hearing damage if ear protection is not worn. Equipment with unpredictable moving parts can cause entanglement, slips, or falls. Radiation levels should always be checked beforehand and monitored throughout the job. Bulk materials may shift or collapse causing injury. It’s important to lock or de-energize any electrical, mechanical, hydraulic, pneumatic, chemical, or thermal energy source prior to entering the confined space so equipment cannot be turned on accidentally. Exposed live wires could result in electrical shock. Reduced visibility may cause error in judgment. There may be extreme temperatures on the work surface or in the atmosphere, so always be aware of changing conditions. These are just a few examples of the hazards to be aware of. Confined spaces can often be unpredictable and dangerous, which is why the US Occupational Safety and Health Association (OSHA) has a comprehensive website that outlines the laws and regulations employers need to follow when it comes to confined spaces, and it also outlines what workers need to know before tackling a job in a confined space. There are other on-line resources you can access to get a better understanding of confined spaces as well. There’s no question that being safe on any job requires knowledge and vigilance, but when it comes to a confined space you have to be even more cautious. Worker safety and health always comes first.